Your rugs provide warmth and softness to your room and are an integral part of your décor. Don’t trust them to just any cleaning company. The following companies all provide superior rug cleaning services at fair prices. 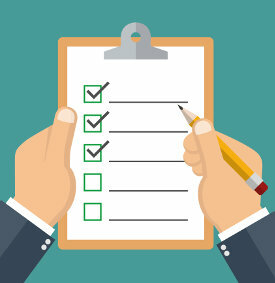 You don’t have to worry about them being licensed or insured because we have already checked them for you (vetted and verified companies only). Bensons Cleaning Services are the TrustedCleaner Approved Rug Cleaning Company in Adelaide. Known locally as the rug cleaning specialists, Bensons have over 13 years industry experience. They also provide a complete carpet, tile, mattress and upholstery cleaning service to home-owners and businesses in Adelaide. A locally owned and operated AWARD WINNING company with a reputation for providing a top quality service. Bensons have been awarded the coveted WOMO service award for 5 years in a row, and have over 80 5 star reviews on Google, TrueLocal and ProductReview.com.au. Some companies stand out from the crowd and this is one of them! Bensons Cleaning Services have the knowledge, experience, equipment and expertise to get your rugs clean, and protect them against future stains. Benson’s fully trained and accredited technicians use a variety of techniques, equipment and professional-grade products depending on the type of rug, age and condition. Talk to Scott and the team at Bensons Cleaning Services today for a free no-obligation chat. We highly RECOMMEND contacting a TrustedCleaner Approved Adelaide Rug Cleaning Company listed above. These are companies who stand out from the crowd, and who have been individually checked, vetted and verified. Rug cleaning is a science and Adelaide Clean Easy technicians have the skill to properly clean your rugs without doing damage. Your rug will be pre-inspected and any concerns you have addressed before the work starts. Only environmentally friendly solutions and processes are used by Adelaide Clean Easy. They are so confident you will be happy they offer a money back guarantee. Providing rug cleaning since 2001. 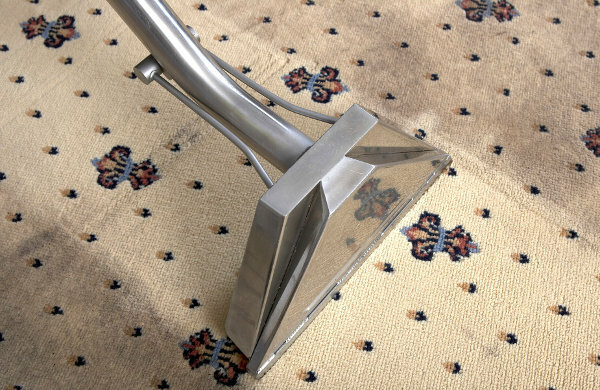 Advanced Cleaning and Restoration can clean your rug on-site or at their state of the art company facility. Pet soil can be removed by a soak in their special rug pond. Oriental and Persian rugs can also be cleaned by Advanced Cleaning and Restoration. They can clean and dry all rugs and apply a soil resistant treatment to help keep them clean. For superior rug cleaning, call Statewide Carpet Cleaners and get peace of mind. They have many years of experience in steam cleaning rugs of all styles and types. Their attention to detail is second to none. If your rugs look tired and dull, Statewide can tell you what method is best to safely clean your rugs and protect your investment. O’Shea’s will clean your rug with their rug Badger (Bug, Allergen, Dirt & Grit Extractor for Rug renovating) machine run by an IICRC accredited Oriental rug cleaning technician. This process will remove soil and sediment trapped in the fibres and rug foundation. After cleaning, the pile is re-set, the fringe whitened, and the rug placed in their special rug drying machine. Additional services such as odour removal, moth prevention, edge binding and stain-.guarding available. Whether your rug is made of wool, cotton, silk , polypropylene, polyester, acrylic, viscose or nylon fibres, ChemDry Professionals can make it look fresh and smell clean again. They are a family-owned business that has been providing rug cleaning services in Adelaide for over 24 years. Their motto is Providing Excellence in customer service for a fair price. This dedication to service has allowed them to be the winner of the International Perpetual Excellence Award. On-Site or Off-Site Rug Cleaning: Which Option is Best for Your Rugs? Even if you vacuum once a week or more, your rugs are going to eventually need cleaning. Hiring a rug cleaning company can be confusing. Some offer on-site service and others have an off-site cleaning facility. What is the difference in the cleaning methods and how do you know which is right for your rug? On-site cleaning can be performed on many rugs made from fibres similar to carpeting. These may be natural or man-made fibres with color-fast dyes. This is the least expensive method of rug cleaning. 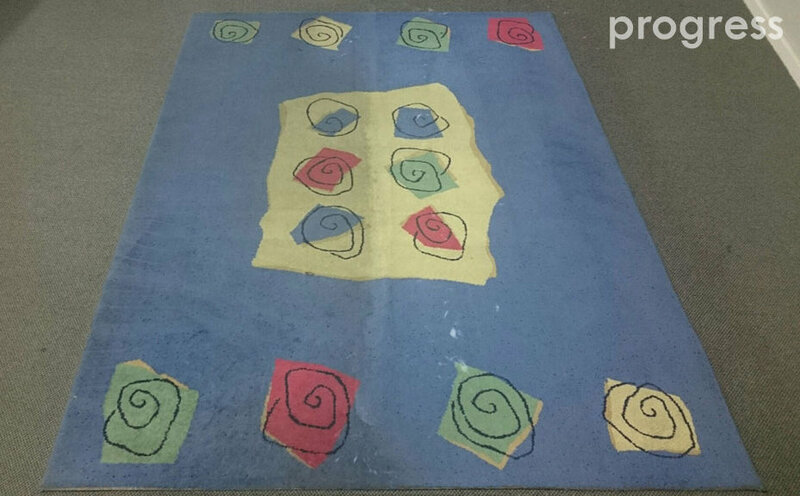 After vacuuming pre-treating, the rug will be cleaned using either a hot water extraction or carbonation method. These surfactants will loosen the soil so that it can be extracted. This method is usually not used for rugs with jute backing, due to the danger of shrinking. To prevent damage, your rugs should only be cleaned by a trained professional. While do-it-yourself products may be available in stores, you run the risk of damaging or further soiling your rug. More information on the proper on-site rug cleaning procedures is available from the IICRC. If your rug is antique, Oriental, or Persian or made from natural fibres such as wool or backed with jute, it will most likely require off-site cleaning. The rug will be inspected, rolled up, and taken to a facility that is especially equipped for the laundering of these types of rugs. This process is more expensive but it is a more thorough cleaning process and will not result in damage to the dyes or fibres used in the rug. After loose soil is removed, the rug will be immersed in a cleaning solution, the solution extracted, a deodoriser might be applied and then the pile will be brushed. After this, the rug will be dried.